If you have a company that’s active on Instagram and you’re looking to run a contest to build excitement, rest assured you’ve come to the right place. When it comes to running quick contests that will not only engage your audience, but will also build and maintain your fun base, nothing beats Instagram. We recently posted an article on common mistakes made posting contests on Facebook. Check that article out for Facebook tips. This article points out some quick tips and steps to check before hosting an Instagram contest. If you decide to host a like contest, all you need to do is invite your users to like the photo that should be entered to win. Actually, this is among the easiest contests you can host and it’s very simple to enter, which means you can effortlessly increase your engagement. Another benefit of Like contests is the opportunity to show up on the Discovery page of Instagram. The more people you manage to engage on your Instagram Like contest the higher the chances of your giveaway being shown on the Instagram’s Discovery page. When your giveaway is featured on the Discovery page, it will be a great exposure of both your contest and account. Comment entry contest is where you ask users to comment on your photo that is to be entered to win. In this way, you’ll gain valuable feedback and eventually increase post engagement significantly. Again, you can also let your followers know that they can tag their favourite friends in their comments for an entry. This is where you ask users who are looking to enter to win to have a photo posted on their account using a particular hashtag that you’ve designated. 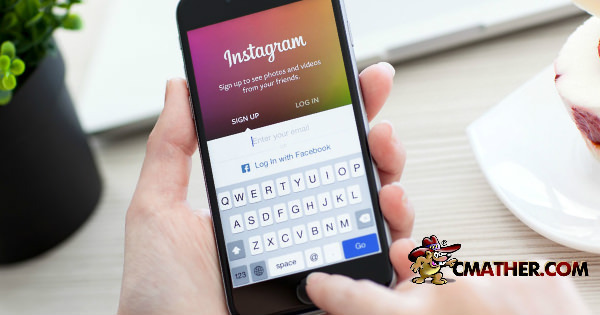 If you’re hosting Instagram contests that require users to like, comment, tag, repost, or a combination of the three, there won’t be a lot of rules. So, it would be better if you just share the rules. The best way to do that is displaying those rules in the caption. In short, the rules should be right up front. Apart from explaining to users that the contest has no affiliation to Instagram itself, the caption of your Instagram picture should display the requirements as well as deadlines and when the winners will be declared. When entering. Participants should confirm that they are at least 13 years of age before releasing Instagram of responsibility. Lastly, they should agree to Instagram terms and conditions of use. Companies can also share rules by creating a Rule page on their website. In that way, you won’t have to include rules on every post you’re sharing but instead, you can simply link to the Rule page on your website. You can also create a Campaign landing page where you’ll include your rules and entry form. This option is great because it gives you an opportunity to collect important data such as email addresses. Because you want the right followers who’re interested in what your company offers, choose a prize that’s not only relevant to them, but to your business as well. That way, you’ll attract people who are genuinely interested in your brand. You want to attract as many relevant users as possible. So, spread the word on various platforms. First, use the right hashtags in both your Instagram posts and comments sections. Apart from increasing the exposure of your Instagram contest to relevant users of your product or service, you can also use hashtags to track entries. Promote your Instagram contest on all social media platforms. For instance, post it on your social channels such as Facebook, Twitter and so on. Your best promotion for the contest will come from loyal and existing customers. So don’t forget your promotion of the contest will also grow your referral marketing business. In conclusion to get the most out of Instagram contest, choose the right contest to run and be creative with it. Choose relevant prices and make sure you use the hashtags that will help you promote the contest and attract the most relevant users.